Avis, the car rental company, has developed a formula to determine which are the best roads to drive in the world. According to Avis, the best road in the world is the N-222 from Peso de Régua to Pinhão in Portugal. It “has the the world’s best overall driving experience. 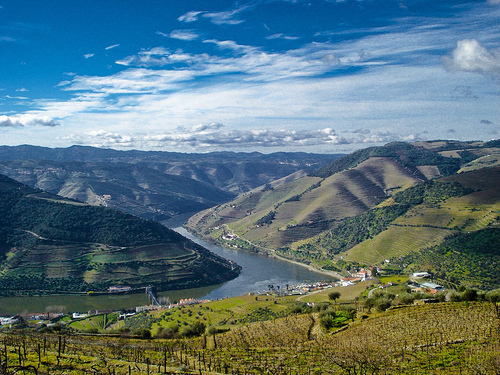 The road cuts right through the heart of the Douro Valley with spectacular views. But why can you drive it… When you can ride it? These 22km’s that separate Pinhão and Peso da Régua are absolutely amazing. Just by the riverside, the Douro breeze keeps temperatures moderate, as you cruise by wineries, wine farms and the oldest demarcated wine region of the world. One you arrive at Pinhão, you can challenge yourself and climb to Casal de Loivos, where you’ll experience a beautiful view. 10km’s ahead, you’ll find Favaios – stop by to taste the great licorish wine and get ready for the exhilarating descent from Favaios back to Pinhão through the N323 – a curvy and ast road with great tarmac.